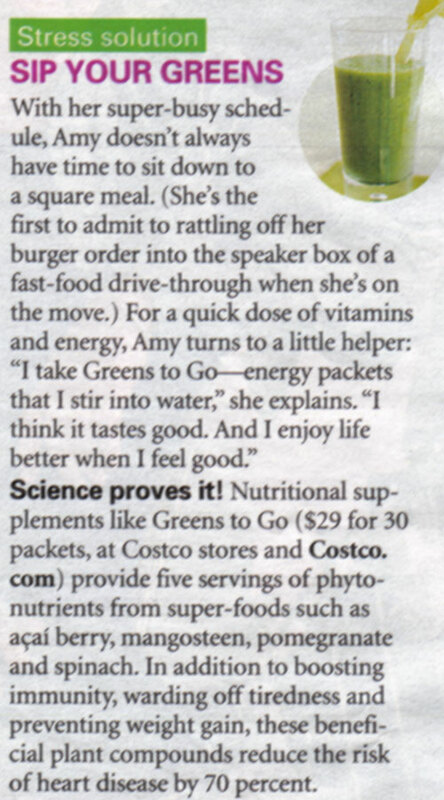 I recently read in a magazine article that Amy Grant uses Greens To Go when she’s on tour. While I’m certainly not a traveling pop star, I’m “on the go” quite a bit myself, and I’m always trying to come up with ways to stay healthy on the road. I decided to order some Greens To Go and see how I liked it. My order arrived yesterday, along with Green Tea Energy and Acai energy packets. I’ll give you a full review later this week. Entry filed under: coping strategies, food review, news around the blogosphere, science. Tags: superfoods, supplements.